Milo came to join our family in February 2017. Someone in the neighborhood found him as a puppy wondering along the bayou and posted a lost dog alert. We responded that he wasn’t ours but we’d happy to give me a home! We spent a few weeks searching for his owners. Leads came in from other neighbors, we had him checked for a chip and called local vets but we came up empty. We were more than happy to welcome him into our family though! Now he happily keeps watch on our corner. Every morning and afternoon Milo waits for Travis kids to say hello. If he’s lucky, a game of chase happens through the fence or someone reaches through to throw his tennis ball. He also loves playdates with his many four-legged friends in the neighborhood! The Stowers family lives on Highland Street. Their daughter, Amelia, loves animals and has seven pets, including her new basset hound puppy, “Spots” and her bearded dragon, “Sunset”. “Spots has long ears that drag the ground”, Amelia explained. And her father Greg said, “And Sunset will ride on Amelia’s shoulder and not jump off.” These are some cool pets! Amelia Stowers, Spots & Sunset. This editor, while out walking our dogs, recently observed the unveiling of their latest addition, a very bright Brontosaurus, just for the holidays. 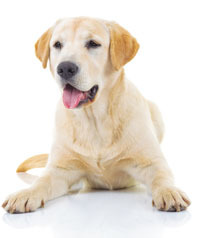 From the Editor: You may recall (or perhaps not) that some months ago I floated the idea of a Pet-of-the-Month. After all, there are quite likely as many pets in WH as there are people. And they are often full-fledged members of the family. It took until this week for someone to offer up their pet for this first installment. I call it the “Creature Feature.” Beyond merely being seasonally appropriate, this highlights the fact that I’d welcome pics that are not pets. Birders! I’m talking to you! See an especially great turtle in the park, grab a pic with your phone. Send it along to communications@woodland-heights.org. Duke: A Labrador / Great Dane Mix. We rescued Duke as a puppy around Christmas time last year. He loves to go to the dog park and play with dogs of all sizes even though he's usually the largest. When he's not playing at the park, you can find him lounging on the front porch or taking up an entire couch. Even though he's over 100 lbs, he still our big ol' lap dog! My husband (Old John) and I have been hosts to screech owl families for about 25 years. The accommodation is a nesting box with a hole so the birds can have a room with a view. We got worried about the family in residency in the box a few days ago. The last time we had seen the mother owl in the hole was on Saturday, April 21st. When we didn’t see her Sunday or Monday, we figured the babies had fledged (not a good night for it because there was a major storm at about 2 am). So, on Friday, April 20, after checking the hole several times a day, Old John went out to take down the owl house (we do NOT want to host squirrels). The next thing I knew he was telling me we had a problem. He had discovered he couldn’t open the top of the nesting box. As he worked with it, he felt feathers. He figured one of the owls had died in the box so he carried the box to the back yard so he could bury any remains. Using pliers, he finally got the top open only to have a tiny owlet scurry out to try to hide itself in the mulch under an azalea. Old John was horrified. I immediately called the Texas Wildlife Coalition, which has a Houston branch whose responsibility is to rehabilitate wild mammals, amphibians, and birds. After a conference with the person who answered the phone and then conferred with the bird specialist, it was decided to put the house back up in the tree and monitor it to see if the parent(s) appeared. If not, we’d have to take the baby to the wildlife people. So, Old John went back out where he discovered that the owlet had tried to get back into the nesting box but had gotten stuck. Apparently, owls do not know how to back up. So, very, very carefully, he moved the little fellow backward into the box. The owlet then played dead. With the house cover back on, Old John gently raised the nesting box back into position in the tree. We began our vigil at 6:40 pm. We were afraid we might miss a parent, especially because I suspect they observed the entire nesting box debacle. Staring at a hole in a box in a tree is tiring. I had to fight to stay awake. By 8 pm, it was dusk and I could no longer even see the hole. Old John thought he saw the baby in the hole so I sent him for the binoculars. I then sat for 20 minutes with the binoculars staring at the hole. At 8:20, we saw the flash of a wing (the underside is whitish) and then a clear view of a parent flying into the box. Voila! So the baby hadn’t been abandoned. We believe the parents will continue to feed it until it is big enough to fledge. Epilogue: We are certain this is the second baby. 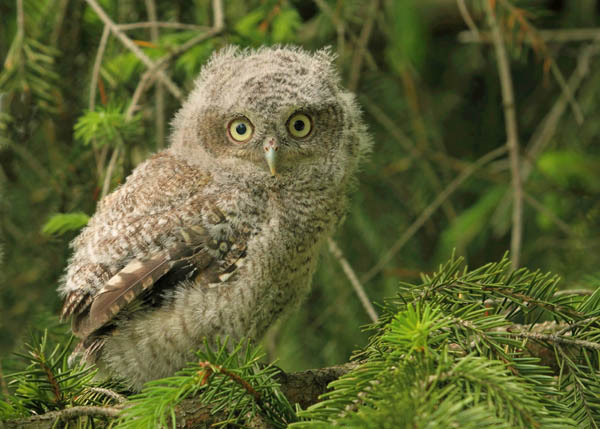 Screech owls usually lay a second egg from several days to several weeks after the first (probably to ensure the survival of at least one owlet). Editor’s note: This story has been submitted by Rosie Walker, with permission of her anonymous friend who is devoted to assisting wildlife survival in our urban environment. Woodland Heights and surrounding neighborhoods are home to numerous animal species: both family pets and wild critters. The Texas Department of Health Services (TDHS) issued a health alert Nov. 30, 2017, dealing with the connection between animals and people. This alert is relative to increased incidents of flea-borne typhus in the Dallas and Houston areas. Flea-borne typhus is rarely fatal; however, it can be lethal. “Since 2003, eight deaths have been attributed to flea-borne typhus infection in Texas. When left untreated, severe illness can cause damage to one or more organs, including the liver, kidneys, heart, lungs, and brain. ... Prompt antibiotic treatment is recommended; treatment should not be delayed pending diagnostic tests,” warns TDHS. Typhus is easily treated in the early stages. People of all ages can be infected, but over 25 percent of cases occur among those between the ages 6 and 15. 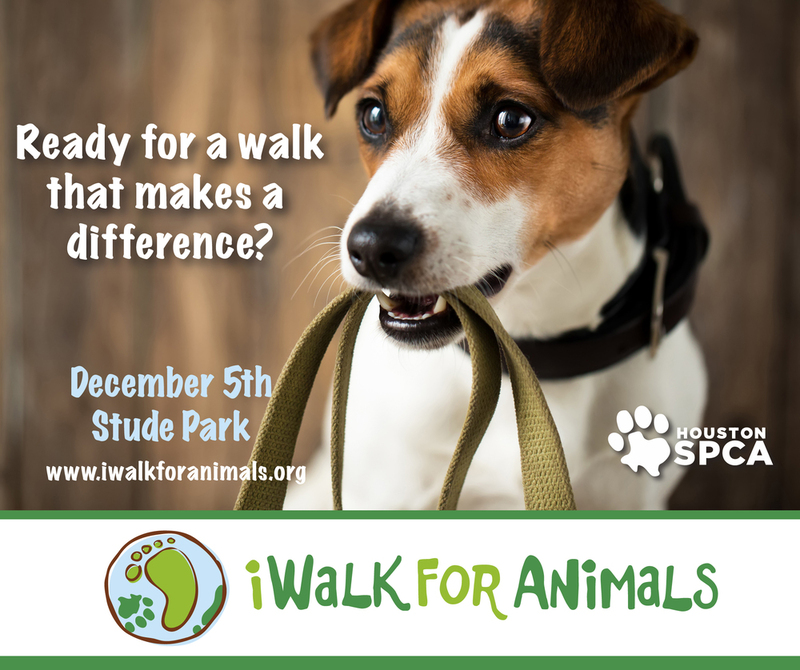 Fetch your sneakers and a furry friend, and join the Houston SPCA for some fun at the 2015 iWalk for Animals on Saturday, December 5 at Stude Park from 8 a.m. to 11:30 a.m. There will be a 5K Canine Caper and a 1K Pup Strut along the banks of White Oak Bayou. You don't want to miss exciting demonstrations, live music and amazing vendors! And, of course, participate in everyone's favorite pet-related contests like Best Kisser, Best Costume and Pet Owner Look Alike! Enjoy a perfect morning with your family and friends, all while raising much-needed funds to support the Houston SPCA's lifesaving programs and services. Participate on your own – or as part of a team - and help give thousands of orphaned, abused and neglected animals a second chance at life! Every step you take and every dollar you raise for the iWalk helps the Houston SPCA keep our 24-hour Injured Animal Rescue Ambulances on the road every day of the year and fund over 7,000 cruelty investigations. 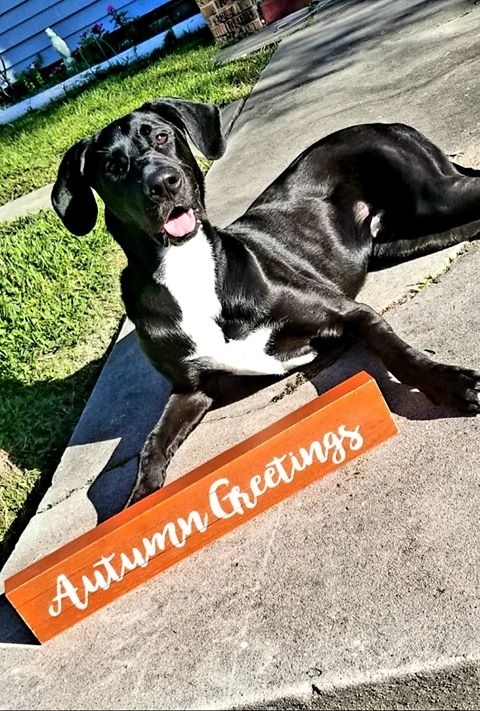 Your Houston SPCA is committed to all animals and intervened on behalf of nearly 50,000 animals last year including cats and dogs; small mammals; horses and farm animals; and native wildlife. And, we proudly place 100% of our healthy animals into loving, new homes! I have met some very nice neighbors who have helped me accomplish my "dog/cat warm-house project" for pets around the Heights and have spayed/neutered, tested, vaccinated community dogs and cats found roam- ing...dumped to fend. I made a life choice years ago to do my part to help the most helpless among us with no one looking out for them. I have worked with SNAP to set up a fund to receive donations with the money to be used to provide spay-neuter surgery, vaccinations, heartworm preventative, and other well- ness services for the animals. The success of this project has led to an ex- pansion of the program to provide warm bedding to help them survive the chilly winter. If you would like to donate to help these animals, visit our Woodland Heights Animal Fund donation page.